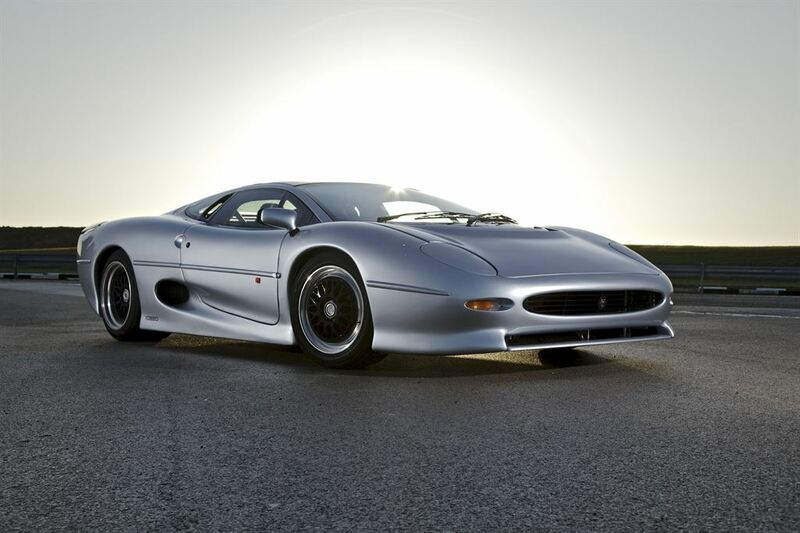 Twenty years ago, Jaguar introduced the XJ220, at the time — the fastest car in the world. The sleek exotic was powered by a twin-turbo 3.0-liter V6 making 540 horsepower that enabled a 0-60 mph sprint in just 3.6 seconds, and a top speed of 213 mph. And during the car’s development, Tom Walkinshaw Racing created a test mule from − of all things − a Ford Transit van. According to Road & Track, the Transit eventually was relegated to the back lot, though it was occasionally given exercise as a parts truck for the Benetton F1 team. Eventually, the cross-breed was bought by XJ220 specialists Don Law Racing, who brought the van up to snuff while making numerous tweaks to the suspension, which had originally been bred by Ford with slight understeer. Watch the video below from the Goodwood Festival of Speed hill climb, which shows that the Jaguar-powered Transit is (probably) faster than your car.